It has been observed in the past that lot of MSME’s do not give lot of importance on the waste that is being generated as long as they are able to manufacture and deliver the end goods on time. This over a period of time creates a lot of inventory, disorganized workspace, no preventive maintenance and finally affects on time delivery, higher defects/re work and eventually spending time on customer complaints. Here we have listed a few instances where implementing lean at the MSME companies have benefited them. A contract manufacturer to a major auto component maker in Gurgaon, was seeing a lot of rework on his end goods and delay in delivery times. The plant has been operational since 1987 and this is the first time they have seen such an issue and so it was thought to be the new workers at the plant. But the management was prudent enough to hire an external consultant to study their process and suggest a remedy. The consultant studied the entire plant operation for 10 days and saw the following issues. Remedial measures were suggested with emphasis on good data collection on process performance. After a period of 5 months it was observed that there was 20% reduction in tool setup time, 100% on time deliveries- which was earlier at about 70% and a robust inventory tracking mechanism which not only streamlined inventory procurement but also freed up almost Rs.6 lakhs in working capital. Overall the management was able to save more than Rs.10 lakhs in that year of operation as compared to previous year. A rice mill plant located at Arni, Vellore had implemented an automatic color sorter and whitener to polish the rice. The plant was operating since 1980 but saw a reduction in operating profits after implementing this system, which was contrary to the expectation. So the management wanted a consultant to study the process and select any remedy if possible. 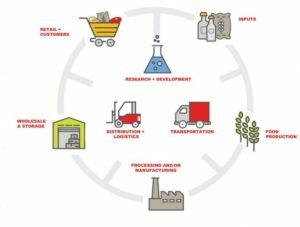 The consultant who has been in the food industry and a well known lean management consultant from Mumbai studied the entire process and found the following issues. No energy audits done till date as most of the energy was through firewood and rice husk. Once machines were introduced, energy was obtained through the state electricity board. Since the energy was not being utilized efficiently, a major energy leakage was recognised and measures to rectify the same were suggested. Finally it took almost 1 month of integrated staff training and another 2 months of implementation, post which it was seen that there was 33% energy reduction, faster processing and a minor factory relayout leading to better storage and quicker loading and unloading resulted in 30% savings and eventually helped the profit margins to increase by almost 13% in that year. 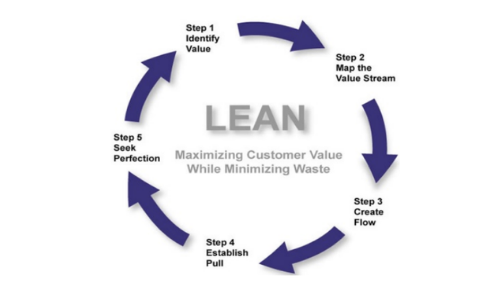 As you might have seen these were some of the actual implementation benefits of lean, six sigma and other related process improvement which if not recognised and addressed, would have continued to effect the profit margins for long. The key benefits after implementing the process were evident within the first month of operation and also well received by the staff and the management. Many times it is thought that lean and other process improvement techniques are only to benefit the management, but it was shown clearly that the shop floor staffs also were very happy with the changes as it made their work flow simpler and increased their efficiency as well.